We all go through rough patches that leave us feeling sad, frustrated and overwhelmed. The phrase, "I'm really depressed today," has become fairly commonplace, but it typically refers to a mood rather than depression itself. Moods pass, but depression disorders can last a lifetime — and a combination of therapy, medication and social support is typically the key to mitigating the illness's symptoms. According to the National Institute of Mental Health, in 2016, approximately 16.2 million (or 6.7 percent of) American adults experienced a major depressive episode — and women reported higher rates of depression than men (8.5 percent compared to 4.8 percent). Depression is one of the most common mental disorders, so chances are someone you know is grappling with the condition. If you're wondering what signs and symptoms to look out for, you're not alone. 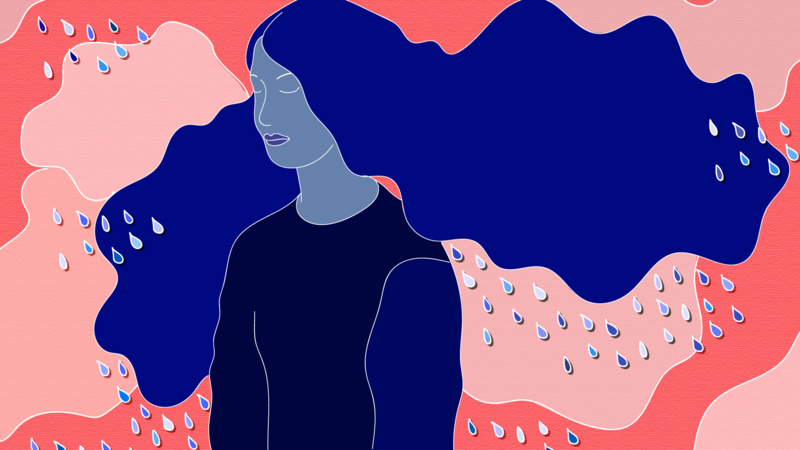 Dr. Arian Elfant, a clinical psychologist based in New Orleans, Louisiana, tells SheKnows that periods of feeling sad are considered a normal and even healthy part of life. "However, persistent feelings of sadness over the course of two weeks or more should be taken seriously," Elfant says. More: Yes, People Who Are Depressed or Suicidal Can Look Like They "Have It All"
Elfant explains that although symptoms of depression vary depending on the person, there are a number of common signs of depression that should be considered red flags. If you observe any combination of these symptoms in a friend or family member, the best course of action is to consult with a medical provider or someone in the mental health field "to help clarify what's going on and how to best move forward with treatment." "Feelings of helplessness and hopelessness often result in an individual seeking to be alone rather than spend time with family, friends and colleagues," Elfant says. In the same vein, it's common for people with depression to have a hard time deriving pleasure from almost anything — including activities that they previously enjoyed. "A sudden change in routine with exercise, dining out or a favorite hobby might be a sign of depression," Elfant says. Our physical and mental health are deeply intertwined, and Elfant explains that "depression can manifest itself through physical symptoms." Examples include joint aches and pain, headaches and digestive issues. Although this symptom is more common in children than adults, it's still an important one to have on your radar. "Sometimes depression is masked by increasing bouts of impatience and irritability," Elfant says. If you notice this personality change in a loved one, it's certainly worth getting to the bottom of its source. "Depression impacts our ability to sustain attention," Elfant says. 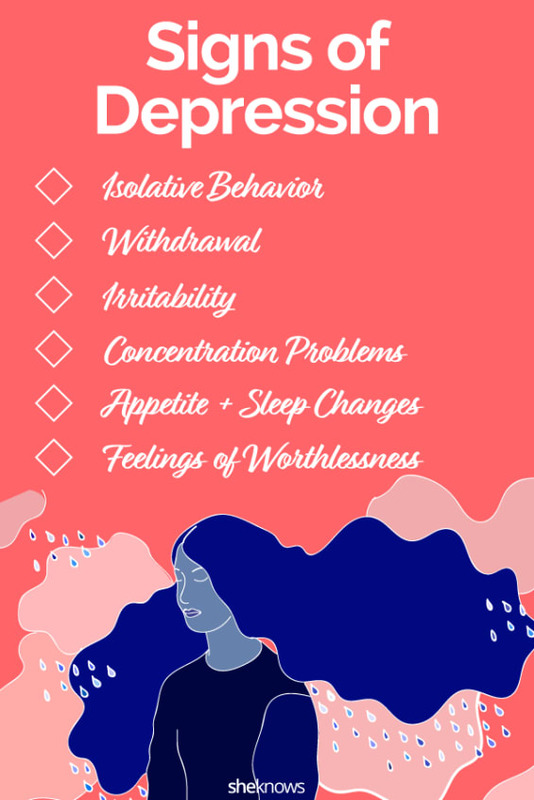 She notes that individuals with depression tend to fatigue more quickly and lose interest in tasks that were previously engaging to them — so it's no wonder depression can lead to difficulty concentrating. More: Am I Depressed or Just Sad? Doctor On Demand board-certified adult psychologist Dr. Nikole Benders-Hadi tells SheKnows that changes in appetite and sleep can be signs of depression. "Most people only think of reduced appetite and getting less sleep," Benders-Hadi says. "We can actually see increases in appetite and people wanting to do nothing but sleep with depression as well." Dr. Reid Kessler, a licensed psychologist based in California, says a lesser-known sign of depression is the individual's belief that they are "bad" and therefore deserve to have bad things happen to them. "The signs of this badness include beliefs that they are too prideful, selfish, vain, greedy, competitive, angry, lustful or envious," Kessler tells SheKnows. "What surprises people about depression is that the depressed person can often expect bad things to happen to them because they believe they are in fact bad." Because many people with depression believe they simply aren't good people, it's all the more important to reach out if you suspect someone is dealing with depression. The knowledge that someone has noticed a change in behavior and wants to be supportive can mean the world to a person whose self-worth is on the floor. "Don't be afraid to ask a friend or family member about their mood," Benders-Hadi advises. "In many cases, they may be feeling very alone and unsupported, so reaching out can help."